Over the past few weeks the media has been buzzing with reports of the obstacles faced by the makers of Ae Dil Hai Mushkil for its release. However, after arriving at a settlement the film featuring Ranbir Kapoor, Anushka Sharma and Aishwarya Rai Bachchan will hit screens today without any hassle. But away from the release, though the media coverage of the film, we hear that Ae Dil Hai Mushkil will feature both Ranbir Kapoor and Anushka Sharma in a never seen before avatar. In fact, both the actors will be seen sporting a bald look in the film. 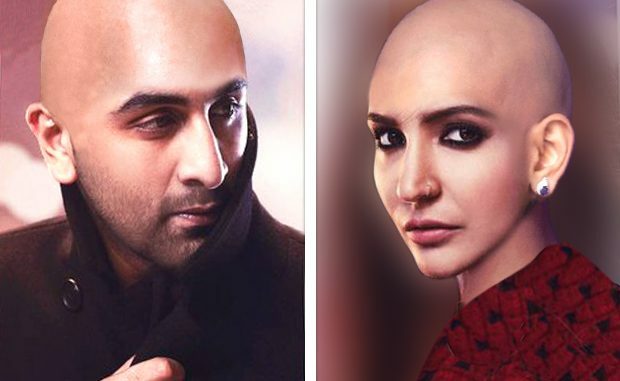 While we will not reveal details of when and why exactly the duo go bald in the film, we will say that there is a rather interesting twist in the narrative of the film which compels the actors to shave off their locks. As for the film itself, Ae Dil Hai Mushkil is directed by Karan Johar and hit screens today.